When you resign from a particular post at any organization, you have to submit a resignation letter. For instance, if you are leaving your job at your company, then you need to submit a resignation letter to your employers or your bosses. Now such letters usually have a fixed format; in order to get an idea of the format, you could take the help of the Sample Letters provided here in this section. This letter template here comes with the accurate format. You can download the template and then go through the format provided here to get an idea of what it looks like. Usually, resignation letters contain a notice period; if you have to state your two weeks notice in your resignation letter, you can do so with the help of the template. You can also see Two Week Notice Letters. 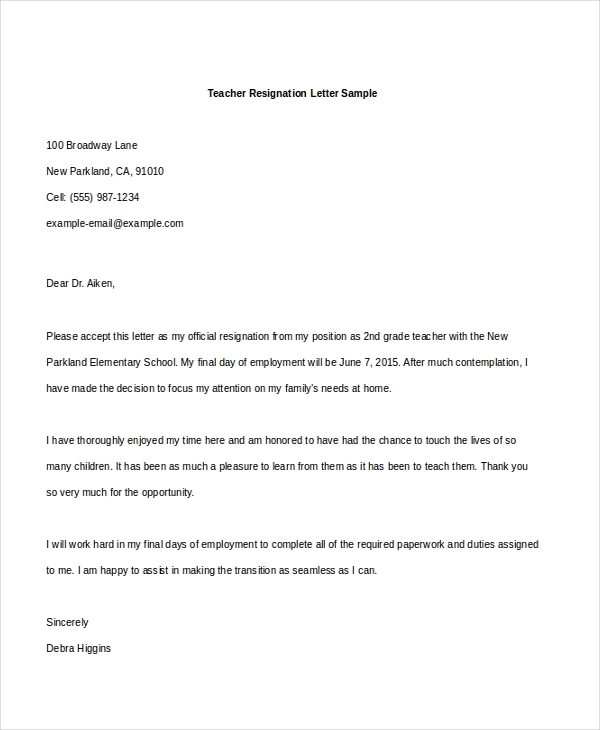 If you are a teacher planning to resign from your post, then you could use this resignation letter to do so. This template has been designed specifically for this purpose. When you are planning to retire, you will have to submit a resignation letter as well. 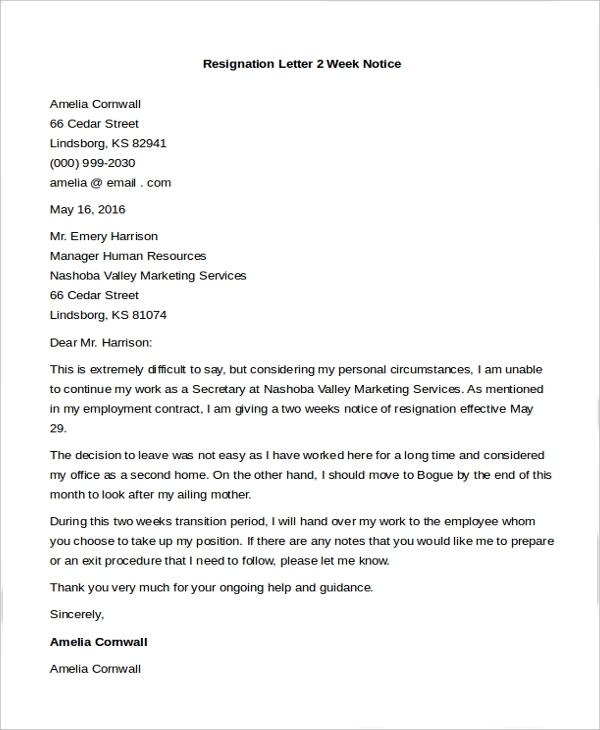 To get an idea of what such a resignation letter looks like, you could take a look at this template here. You may also see Letter of Resignation Examples. 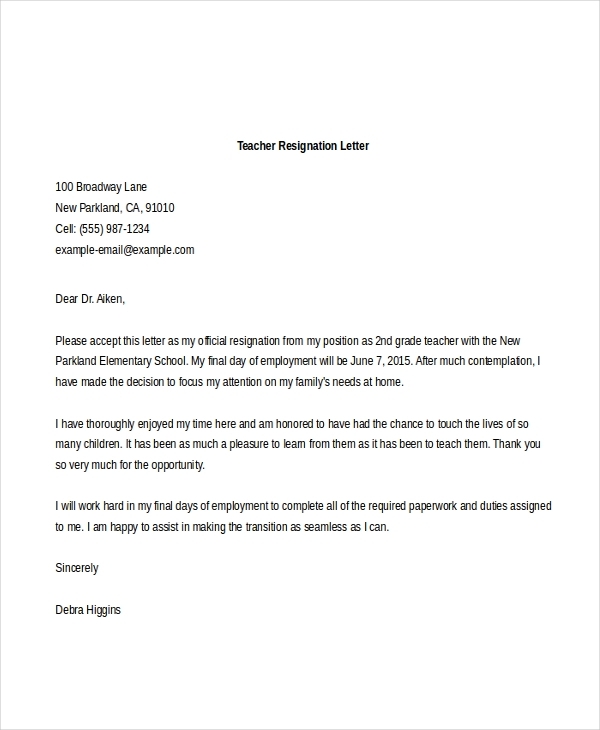 If you are planning to resign from your post as a teacher, then you need to take a look at this teacher resignation letter. It comes in an easy to use format and with customization options. How to Use These Resignation Letter Templates? The resignation letter templates provided in this section here come in very easy to use formats. They either come in word or pdf formats. Either way, you will have complete liberty to experiment with the templates as you please. You can go through the templates and choose the one that suits your requirements. Once you download the template, you can use it as a sample to study the format or even save and print it for official use. 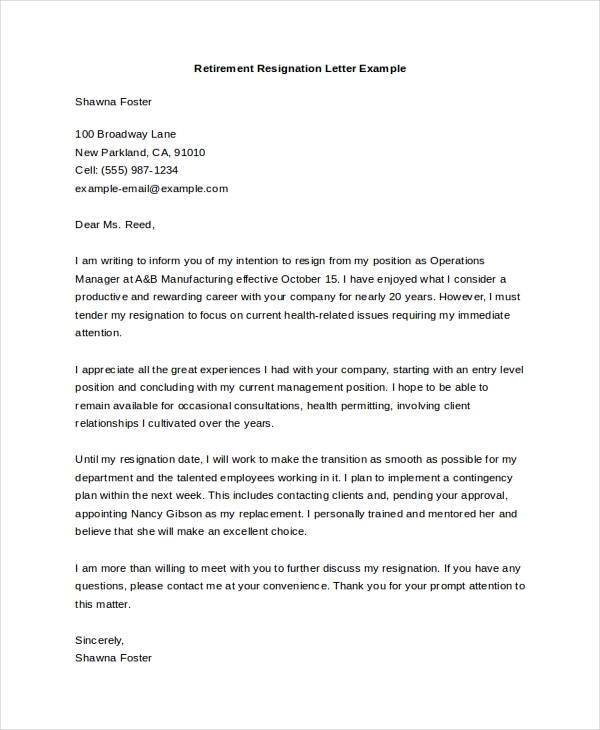 The templates here come with easy customization tools which allow you to personalize or customize the resignation letter to suit your needs. You can also see Letter of Resignation Samples. Before downloading the template, you need to go through the content of the resignation letters. Different letters serve different purposes. You need to select the resignation letter template based on your requirements and demands. Before downloading the template, you need to go through the contents of the resignation letters. Different letters serve different purposes. You need to select the resignation letter template based on your requirements and demands. 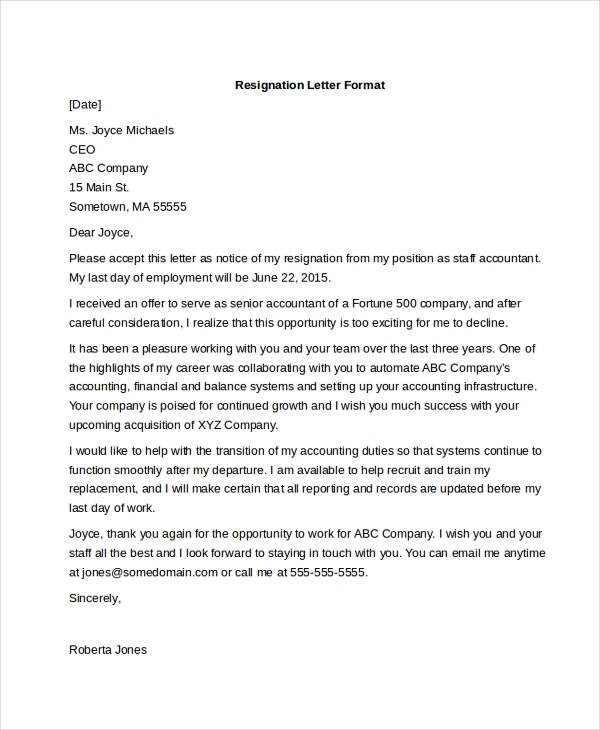 Go for resignation letter templates that are easy to follow, customize and use. The formats used in these templates are common and must be familiar with you. Also, most of the templates you see here come with easy customization options. You will be able to edit and customize the contents of the template as per your needs. Formal letters usually have a fixed format which you must abide by. You must state your terms of employment, reasons for resignation and so on in the letter. Similarly, you also need to mention your notice period in the letter. All this has been provided in the resignation letter templates here. You may also see Formal Letter Formats.